»Culture & Arts»Launch of Béar Féile 2018 – 23rd to 25th March! The amazing Béar Féile 2018, Ireland’s biggest Bear Festival, has just been launched by Dublin Bears! 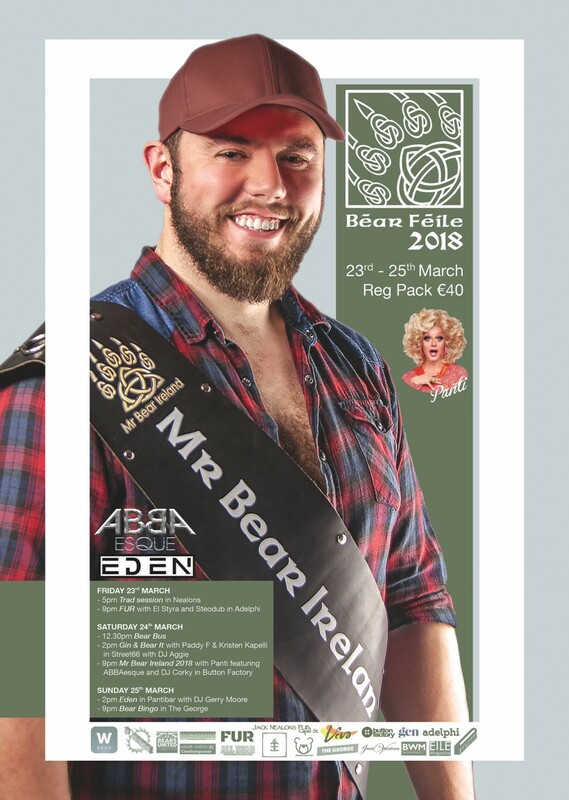 There is a great weekend of fun and entertainment lined up, from 23rd to 25th March, with a warm welcome for Bears and admirers from all over the world. A €40 Reg Pack includes all of the following ( EXCEPT the BEAR BUS).